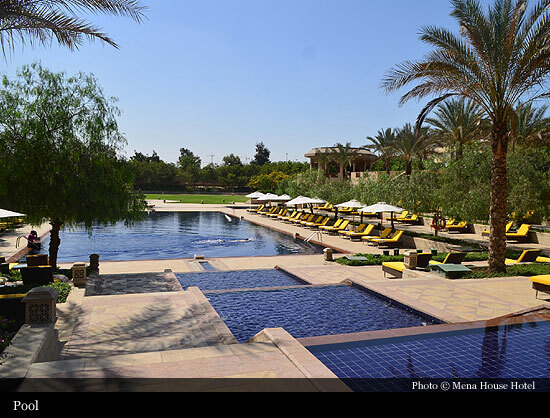 With its own rich and colourful history, the Mena House is one of the most unique hotels in Egypt. 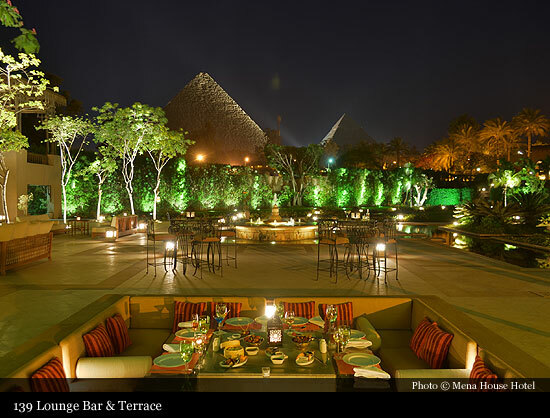 Surrounded by 40 acres of verdant green gardens, this palatial hotel is located in the shadows of the Great Pyramids of Giza in Cairo. 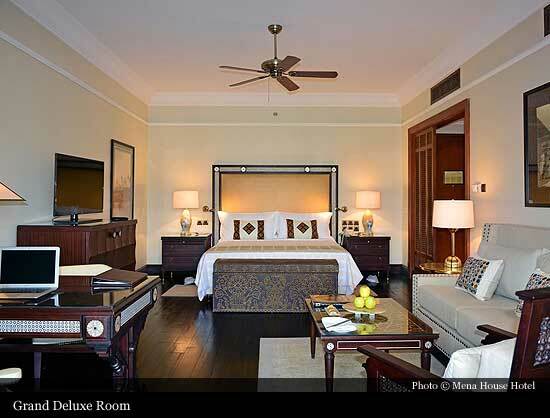 The royal history of the hotel is reflected in luxurious interiors that are embellished with exquisite antiques, handcrafted furniture, original work of arts and magnificent antiques that are rarely found in luxury hotels. 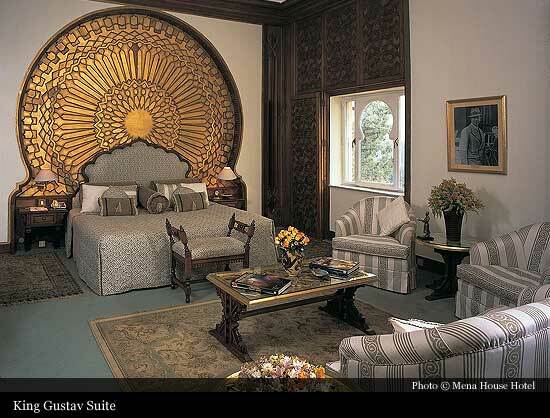 Mena House has played host to kings and emperors, Heads of State and celebrities. 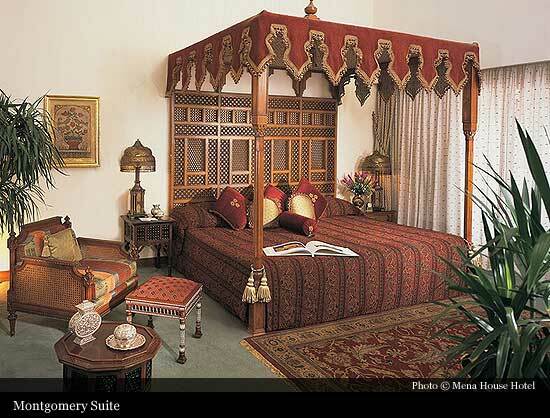 Originally a royal lodge, it was used as a rest house for the Khedive Ismail and his guest when hunting in the desert or visiting the Pyramids at Giza. 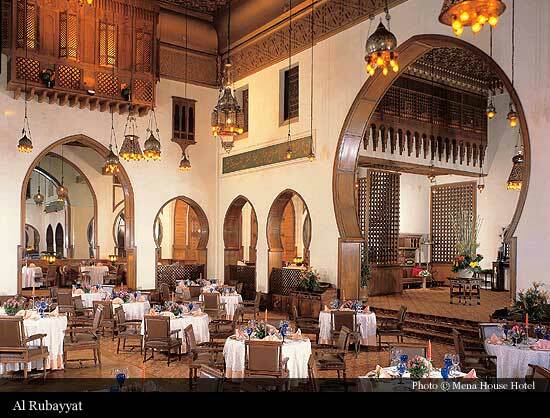 Today, the main dinning room was once the entire lodge, but in 1869 with the opening of the Suez Canal, the lodge was enlarged. 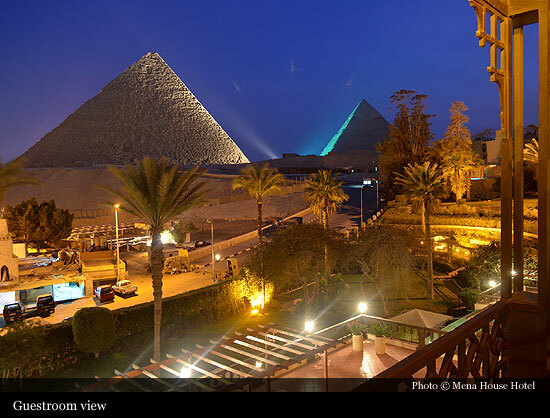 Also, a road was built between Cairo and the Pyramids (specifically for the visit of the Empress Eugenie) which made visits to Giza much easier. In 1883 it was sold to Frederick Head as a private residence. The Heads, a wealthy English couple, lived an idyllic life at their new residence, enlarging their home and adding a second floor. 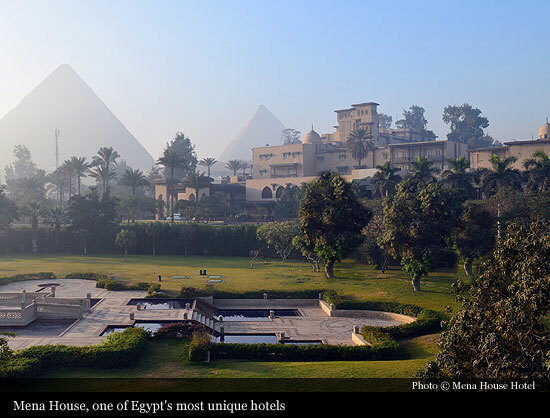 Seeking a name for their estate, Professor A.H. Saya made the suggestion that it should be called Mena House, after the first king referenced in the Tablet of Abydos. In 1885, another hugely wealthy English couple, the Locke-Kings purchased the house from Mrs. Head, and it was they who set about turning the estate into a luxurious hotel. 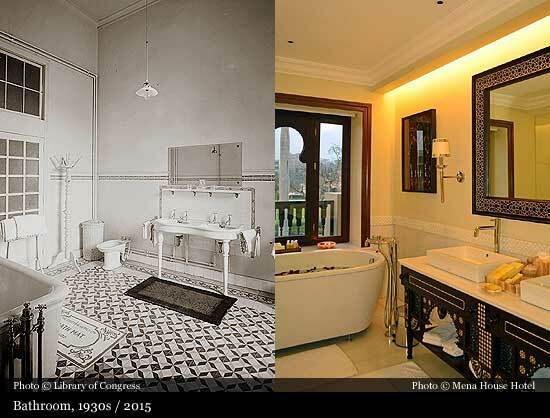 A year later in 1886, ‘Mena Hotel’, as it was originally called, opened its doors. 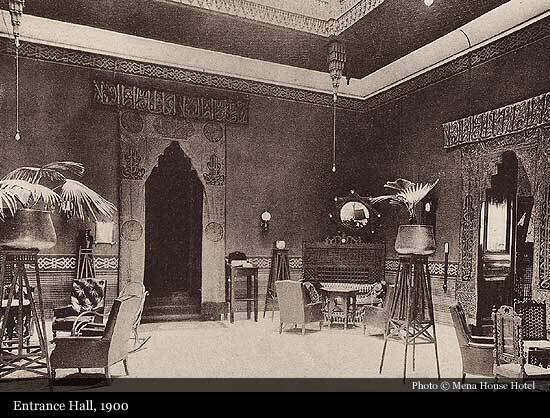 With plenty of money to work with and an estate already rich with furnishings and other treasures left by the Khedive and the Heads, the Locke-Kings enlarged the building once again, adding the English touch of great fireplaces that were unusual in Egypt. 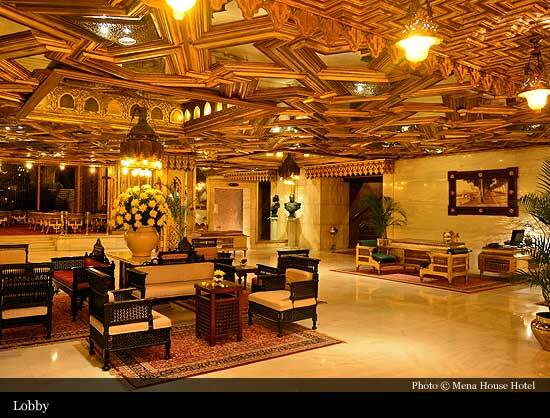 However, they retained much of the Arabic ambiance of the facility, and enhanced this with fine Mashrabia (wooden screens) work, fine blue tiles, mosaics and medieval brass-embossed and carved wood doors. Their taste was excellent, and the hotel has been kept with such good care, that many of these original fixtures are still in use. 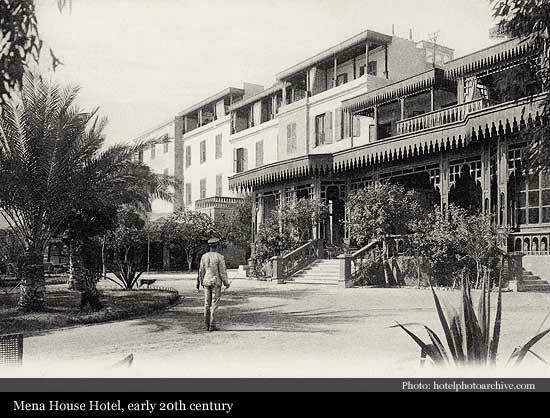 Arthur Conan Doyle, the author of Sherlock Holmes book and his wife Louise (Touie) spent the winter of 1895-96 at the Mena House Hotel. 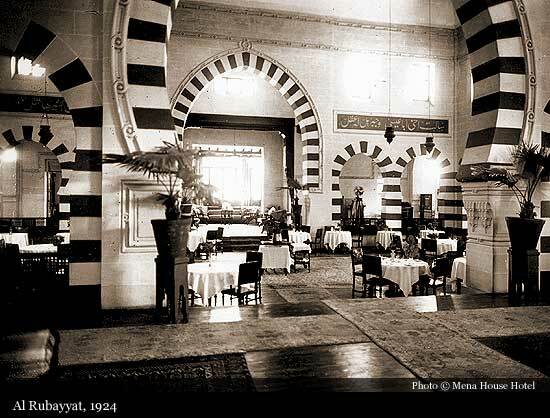 Emil Weckel and a certain Mr Schick bought the Mena House in 1896. 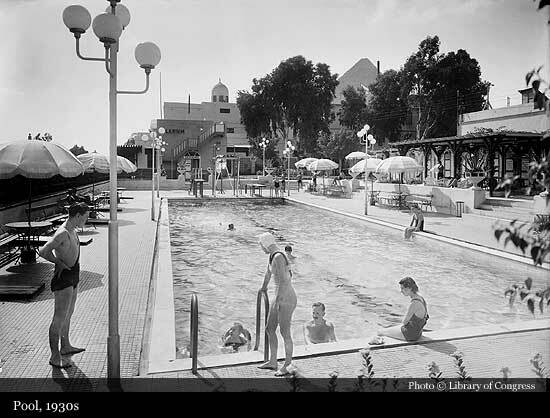 The hotel had lawn tennis, two croquet lawns, shooting, stables with Arab and English horses and desert carts for hire. In December 1899, the Golf Course was opened as a sandy Golf Course. It was turned into grass in 1917 by Roy Wilson. 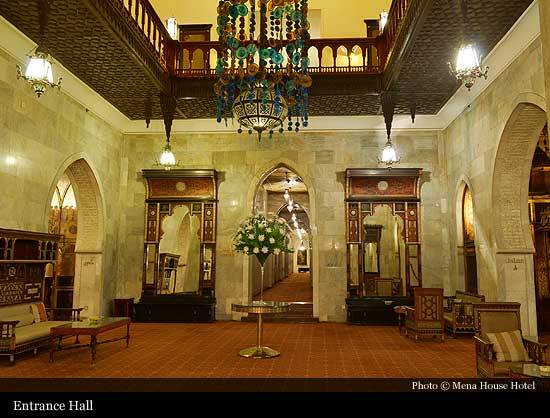 In 1900, a lift had been built in the main building and for the first time electric light illuminated each floor, and all public rooms. 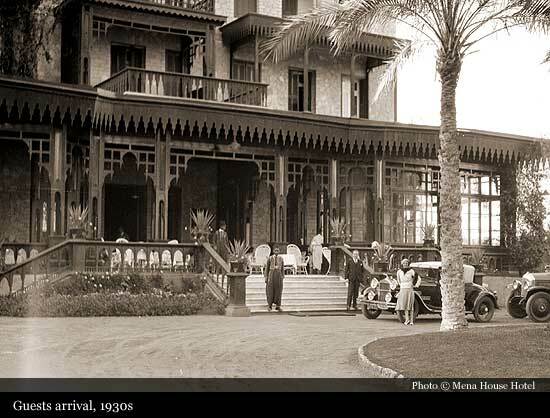 The 1900 spring season at the Mena House offered a croquet lawn, lawn tennis, shooting, gymkhanas and the swimming bath. A daily coach service was in operation. 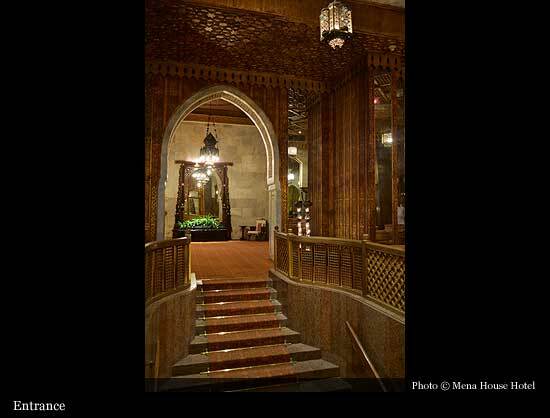 Schick and Weckel sold the Mena House to the George Nungovich company in 1904. 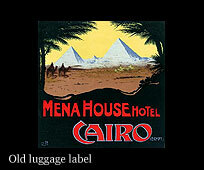 Nungovich had started as a porter in Cairo station and built a hotel empire in Egypt. Empress Eugénie, the widow of Napoleon III, arrived for a second visit to the Pyramids in 1909. 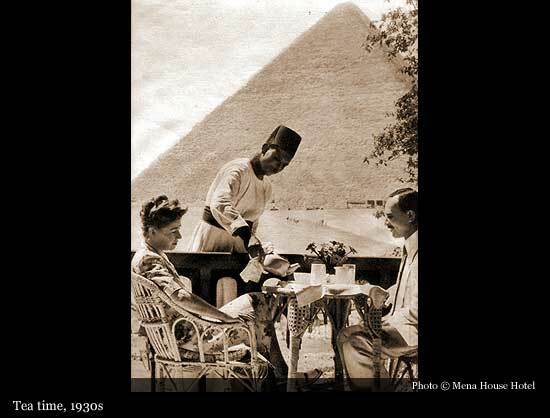 In the same year, the Prince and Princess of Wales visited the Pyramids. 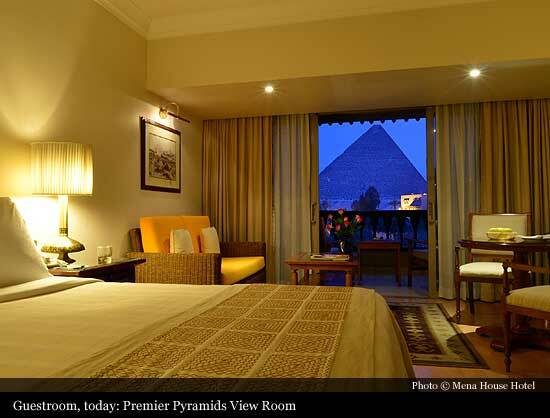 The group’s general manager August Wild arranged for a banquet near the Pyramids. 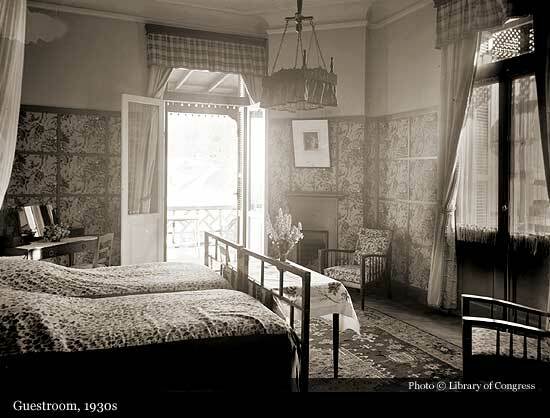 The best location was clearly the chalet that had been built for Empress Eugénie in 1869. 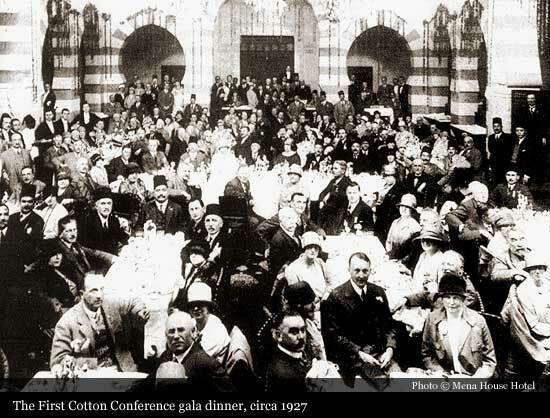 The 1913-1914 tourism season was great in Egypt, but the First World War came to Egypt amongst martial law. 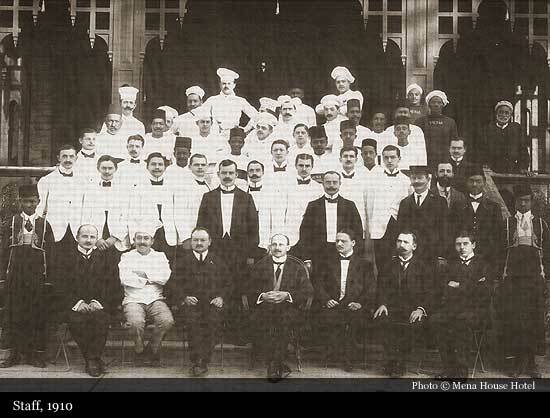 During the First World War, the Mena House became one of the hospitals, and remained so for the rest of the war. 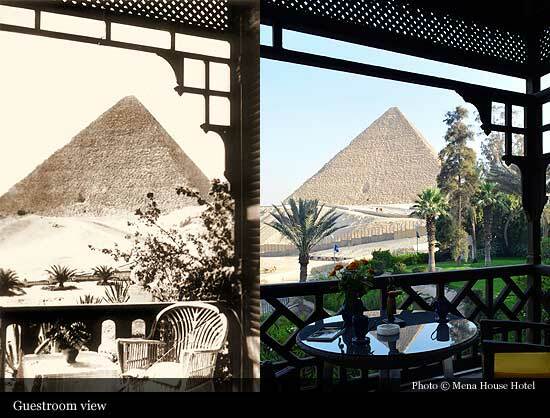 In 1943, the Mena House saw one of its most exciting years. Plans for Overlord, the invasion of Europe, had to be discussed by Churchill and Roosevelt and operations in Southeast Asia needed consultation with General Chiang Kai-Shek. 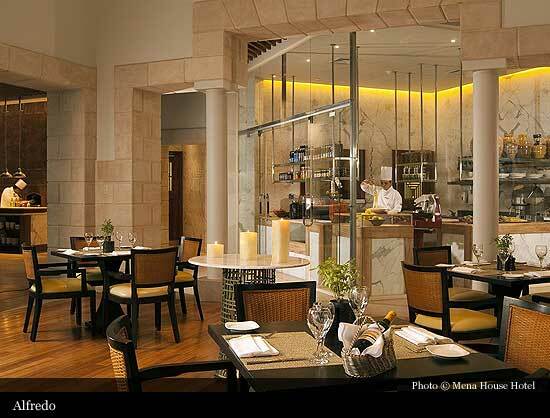 It was decided that the Big Three conference should take place at the Mena House Hotel. 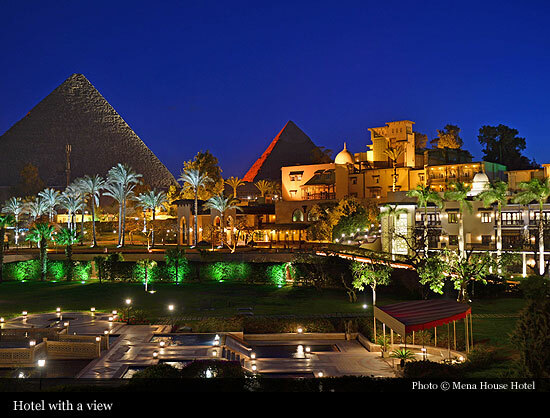 In 1979, Mena House, was the venue for Mena House Conference, the pre-Camp David talks, where President Sadat met with President Carter and Prime Minister Began.